LEE COUNTY, Fla.- Authorities are asking for the public’s assistance in locating a missing woman. 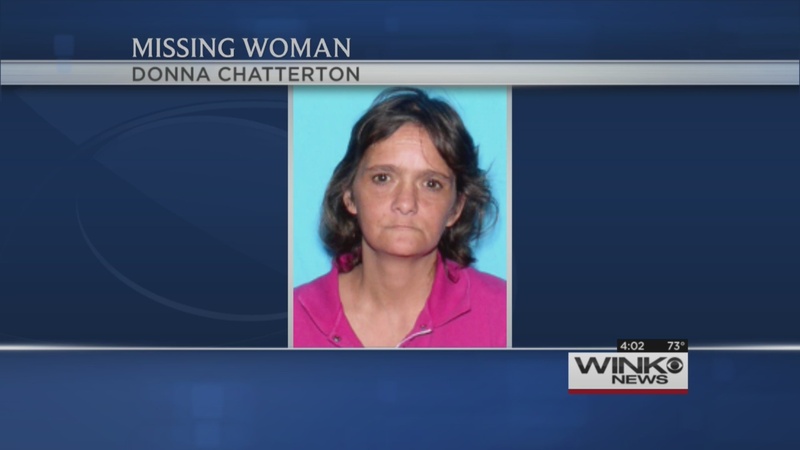 Donna Chatterton, 46, has been missing for almost a week. Chatterton’s mobile home on Glenwood Avenue burned to the ground last Thursday. Chatterton’s roommate says she wasn’t home when it happened, and the last time he saw her was Wednesday morning. “I am worried for her safety. I want to know she’s alright, I wanna know where she is,” said Matt Albritton. Albritton has only known Chatterton for about four months. Now he’s finding himself in the middle of a missing persons investigation. “Of course it’s weird, you can imagine the things going through my mind,” said Albritton. Albritton says he moved in with Chatterton about two months ago. He says the last time he saw her, was the morning before her mobile home erupted in flames. Albritton made it out safely. The fire chief told WINK News last week the fire was likely sparked by a space heater. None of Chatterton’s friends or family have seen her in nearly a week. Albritton says it’s very unlike her, and that he has no idea where she might be. The Lee County Sheriff’s Office does say that Chatterton has an extensive history of alcohol abuse. Deputies returned to the mobile home Monday evening and placed yellow tape up around Chatterton’s mobile home. Trust WINK News for updates as soon as we find out. If you have any information that can help authorities, call the Sheriff’s Office at 239-477-1000.